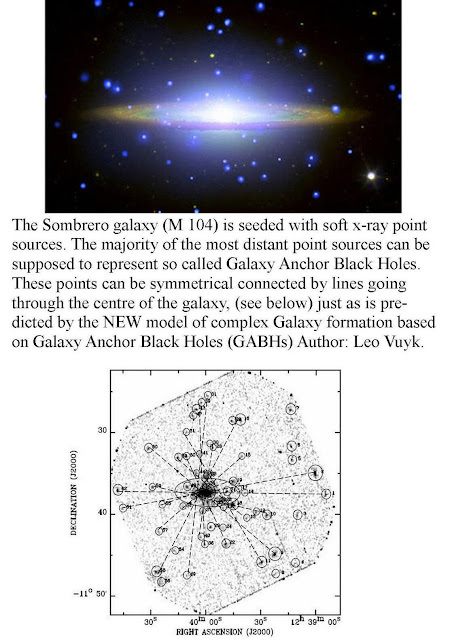 Left handed amino acid created inside comets like Wild 2. 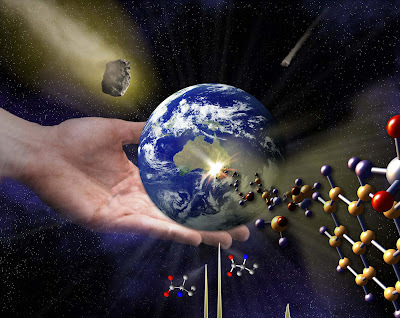 How could left handed Amino Acid be created inside Comets? 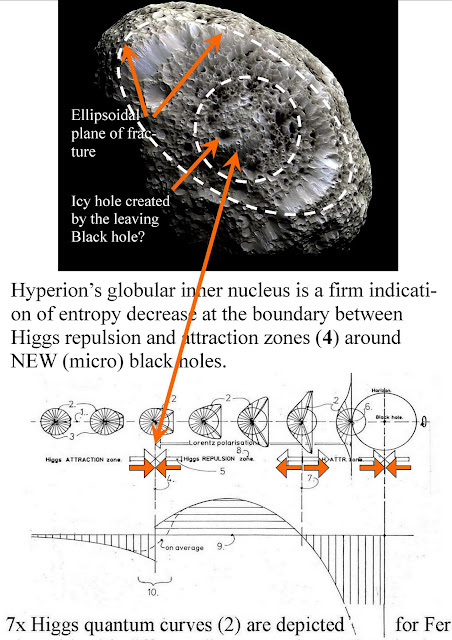 A: black holes, as the origin of dark matter outside Galaxies. 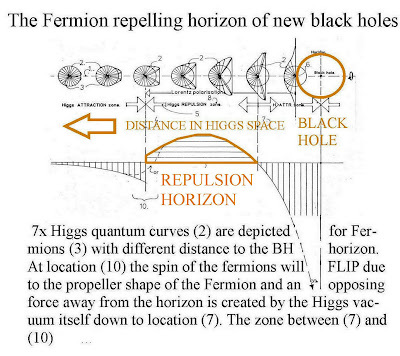 C: a massless oscillating "Higgs particle" as the Virgin-Mother of all other particles and the origin of ZPE (zero point energy). 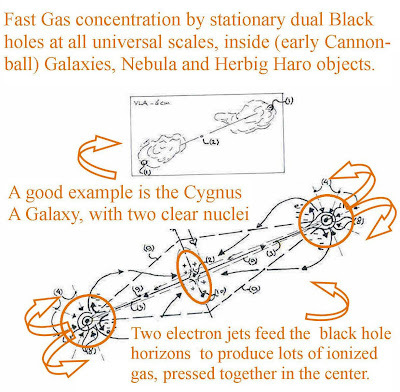 If New Black holes can exist at all scales (even down to Comets, Ball lightning or Sunspots) and Comets have a New Paradigm Black Hole Nucleus, then we may postulate a solution for the production of Lefts handed Amino Acids inside Comets. Then the vacuum structure should have a preferred chirality left or right handed to create preference for positrons to merge with Photon/Gluons and form positive charged Quarks! 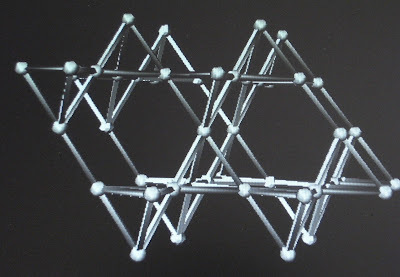 The vacuum structure should be based on "chiral" tetrahedrons as depicted above. 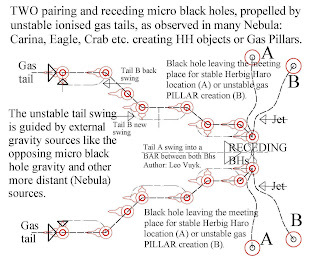 It is supposed to be responsible for the preference of REAL HARDROCK propeller shaped positrons to click-on with Gluon/Photons as the base for the u-Quarks inside Protons. 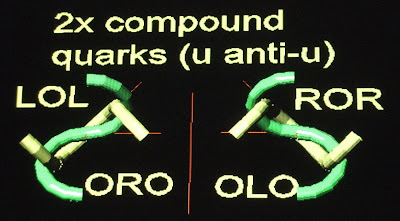 Propeller shaped Electrons with opposite PITCH are supposed to be less stable than positrons after forming compound particles, but they seem to be able to create d-Quarks. 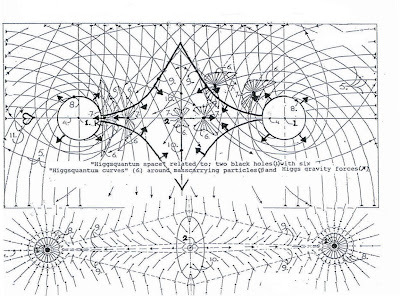 The Higgs oscillation lattice structure of the vacuum. 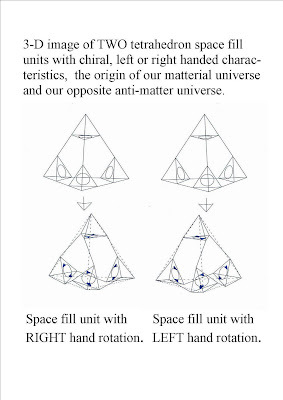 Chiral tetrahedrons with the Planck length edges in 3D configuration, create a so called Truncated Tetrahedron Space Filler. 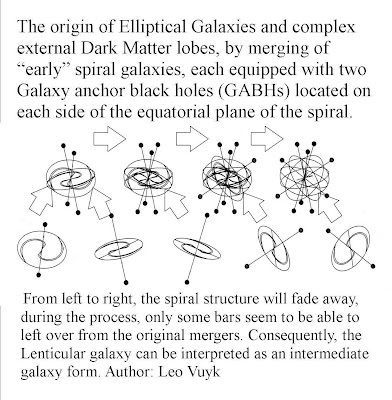 (like so called Phonons seem to do) along the Helix shaped Tetrahedron edges. 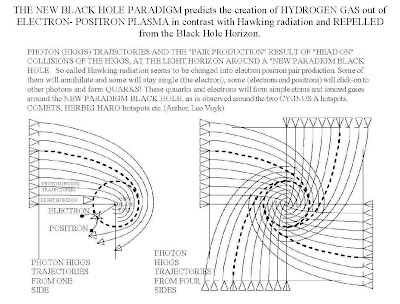 The 3D vacuum lattice with the basic planck length, as the representation of the trajectories of the massless Higgs oscillations and all other bosons, pushing propeller shaped Fermions in a constant dual spin by individual collisions. 3D VIEW ON THE NEW SET OF singular ELEMETARY PARTICLES. 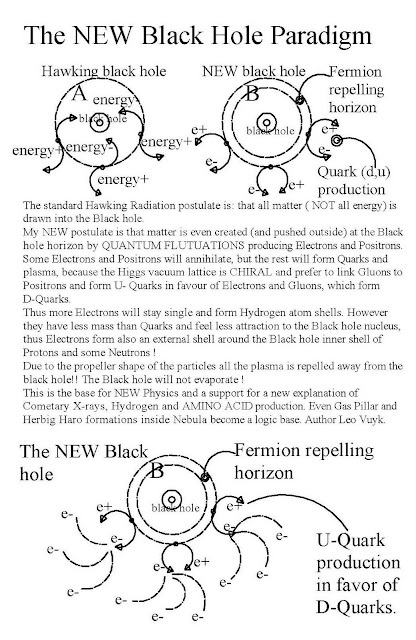 1X HIGGS, 2X FERMIONS (electon/positron) 5X PHOTON/GLUONS and 1XGRAVITON. 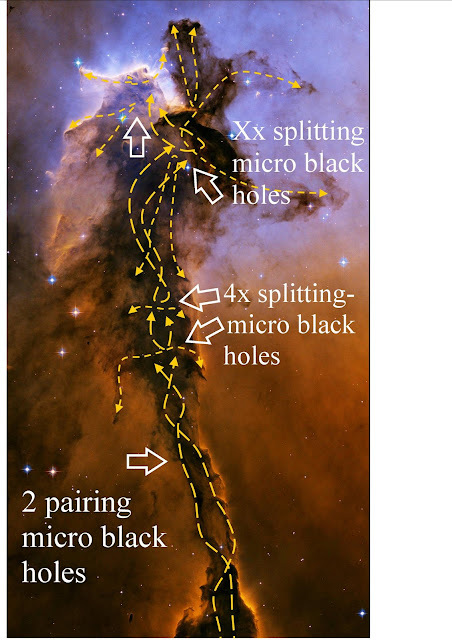 Black hole pairing and splitting inside the Eagle Nebula.